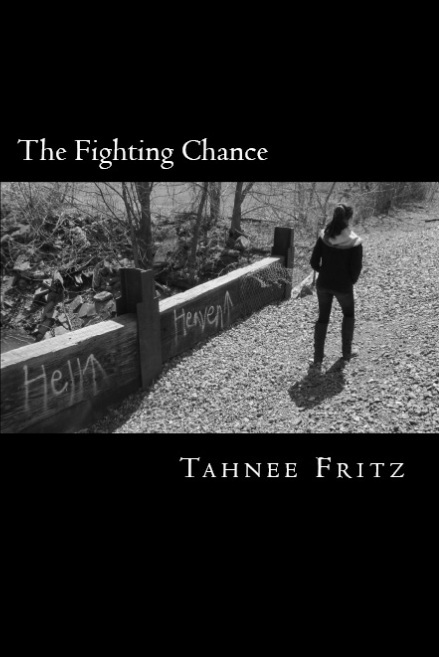 Well, with the upcoming summer release of The Fighting Chance, sequel to The Human Race, I went ahead and created the cover for it. The design is similar to that of the first book so the covers of the series match and make sense. I’m really happy with it so far and can’t wait until the release date which I think I’m going to move to the end of August since things are going so smoothly. I will, however, give a little description of what you can expect to find out about Bridget’s life in the ever expanding zombie/vampire apocalyptic world. It’s been a year since they made it to Des Moines. A year since they found safety and happiness. Bridget is still doing what she loves, which involves killing the zombies who dare to step foot near the wall surrounding the city. She’s still making a difference in the survival of the human race and she’s made quite the name for herself by doing so. Survival comes with a price as Bridget, Ryder, and a small team venture beyond the wall in search of more humans. A price Bridget thought she’d never have to pay. The world beyond the wall is a tough one when you’re fighting off zombies in the sunlight and vampires in the shadows. Bad things can happen when you’re cornered and have nowhere to turn. Maybe things happen for a reason and you find yourself in the midst of something truly amazing or the next worst thing to happen to humanity’s survival. As with every new thing that finds its way to the surface, people are out there waiting to steal it for themselves. And Bridget will be right there defending what belongs to her so she give the world the fighting chance it deserves.